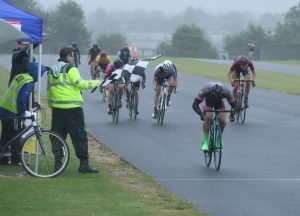 The Series will run on Saturday afternoons at the Odd Down Cycling Circuit (BA2 2PR). 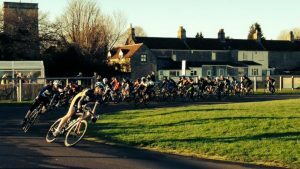 Over the past few years the winter races at Odd Down have been well attended and have seen plenty of safe, hard racing in both the men’s and women’s races. 14:00 – 4th Cat only (35 mins + 3 laps). The ever-popular introduction to ra cing. 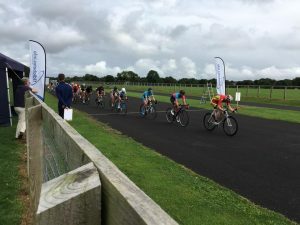 These races have been very competitive over the years and Odd Down’s mix of corners and crosswinds provides the perfect place to learn your racing craft. 15:00 – 2nd/3rd Cat (35 mins + 3 laps). With a number of strong clubs and race teams in the local area, these races can ebb and flow in a variety of different ways. Fertile ground for the sprinters to pick up some early season results; they must be able to put themselves in a position to take advantage as the race is prone to splitting and strong breakaways mean that hiding is not always an option. 12:00 – 4th Cat Women Only (30 mins + 3 laps). Very well received in the summer, offering 4th Cat races for women has made a huge difference to the local racing scene. With riders given the chance to start their racing at an appropriate level, it has been hugely rewarding to see riders develop their racing. Riders learn to race proactively, as the riders learn not only to race… but to win. 13:00 – Elite/1st/2nd/3rd Cat Women Only (35 mins + 3 laps). The cream of the local crop. There is nowhere to hide in a strong group like this and these races give the regular racers a chance to clash for the first time in the season. 13:00 – Elite/1st/2nd/3rd/4th Cat Women Handicap pursuit (35 mins + 3 laps). These races have been a thoroughly entertaining addition to the racing programme. Tactical, fast and competitive; nobody wins one of these races without really earning it. A great opportunity to give newer racers a chance to experience racing with the top local riders and a new challenge for the stronger riders who must attempt to collaborate with their peers, as well as beating them in the finale. 1.5km featuring six bends (including two hairpins). That is what you can see; the wind often blows across the exposed playing fields turning the race into a battle for position and making races far more selective than a flat course would suggest. The circuit is wide and smooth, and the tarmac is surprisingly grippy, even in the wet. This means that the brave can make it stick at speed around all the twists and turns. The mistake that people make; you must wait to get back on the power out of the long hairpins as a pedal strike will punish you if you don’t.